Player injuries have plagued the Australian Open Tennis Tournament, the first of the four ‘grand slam’ tournaments in the tennis calendar, even before the opening date of January 15th this year! Britain’s Andy Murray was forced to bow out with a hip injury and has since had surgery in Melbourne for the problem. Other injured stars include Rafael Nadal, Stan Wawrinka, Kei Nishikori, Milos Raonic and Novak Djokovic so it remains to be seen which of these will be able to compete in this year’s tournament. The repetitive movements of tennis strokes cause a lot of stress to the shoulder joint, particularly during the serve. There are different types of shoulder injury; one of the most common is Shoulder Bursitis. The rotator cuff muscles of the shoulder that stabilize the ball and socket joint can cause impingement of the Bursa (a fluid-filled sac), between the shoulder muscles and bone leading to pain and inflammation when the arm is raised. In the acute phase, ice therapy and prescribed anti-inflammatory medications can be used to reduce inflammation. After inflammation has subsided, we can help with exercises to restore the full range of movement. Our physiotherapists can also help tennis players to avoid a recurrence by teaching shoulder stabilisation exercises to increase the strength and flexibility of the shoulder. This is an inflammation of the muscles and tendons in the forearm where they attach to the Humerus. Pain is experienced when the elbow is touched and when gripping or moving the hand back and forth at the wrist with a straight elbow. Having the correct grip size on your racquet can help to prevent this injury, as a grip that is too small will cause you to grip it too tightly. If returning to tennis after a break, regularly stretching the wrist muscles during the game can also help. For those who have experienced the pain of tennis elbow, a compression strap that reduces strain on the elbow is a good idea for prevention of further injury. Rest, anti-inflammatory medications and even Corticosteroid injections are often the first line treatment for a new tennis elbow injury in order to reduce inflammation. Ice therapy can also be very effective. Once inflammation has subsided, your Physiotherapist can prescribe a program of exercises to strengthen the extensor tendons. This is more common in young players whose rapid growth spurts put them at greater risk of injury. Stress fractures often cause pain that becomes worse during exercise and is relieved by rest. In tennis, it is particularly noticeable during the hyperextension of serving. A good tennis coach will ensure that young players are not overloading their backs with too much serving practice. Core stability exercises such as those prescribed at Turramurra Sports and Spinal Physio or those taught in a Pilates, or Yoga class can also help prevent this type of back problem. If you do get a stress fracture of the back, complete rest for the first few weeks will allow healing. During this time, heat packs can help relieve pain and muscle spasms. After this, a course of physiotherapy, usually beginning with work to increase the stability of the muscles in the lower back will help to reduce low back pain, correct postural faults and provide better support for the spine. A Calf strain is common when a tennis player pushes off in order to return the opponent’s shot. The tissue of the calf muscle tissue may be torn if the muscle is stretched beyond normal limits during this movement. Sufficient carbohydrates in the diet, particularly in the pre-match period, may help to prevent calf strain by providing an adequate supply of energy for the muscles. Treatment in the acute phase of a calf strain involves a protocol of protection, rest and elevation of the injured area and using ice and compression to reduce bleeding from torn muscle tissues. Our physiotherapists can help with gentle exercises to stretch the damaged muscles and progressively increase strength in the affected muscle group. 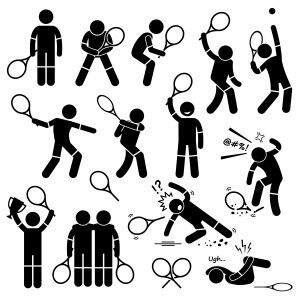 Physiotherapist advice for injured players returning to tennis can help reduce the risk of a recurrence. The most common cause of a sprained ankle in tennis is the fast, explosive, sideways movements performed by players – especially when on a slippery surface or towards the end of the match or tournament when players are more likely to be fatigued. The ankle can twist, causing damage to the ligaments and bleeding within the soft tissues of the ankle structure. The result is a painful and swollen ankle. Turramurra Sports and Spinal Physio suggest that for those who have suffered an ankle injury, wearing an ankle brace or taping the affected ankle can significantly reduce the risk of further injury. Treatment in the acute phase should comprise protecting, resting and elevating the ankle and using ice (not applied directly to the skin) and compression to help relieve pain and swelling. Injury rehabilitation with one of our Physiotherapists can significantly improve ankle function and recovery from the injury. 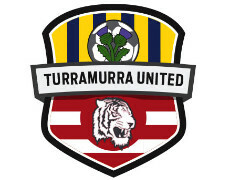 At Turramurra Sports and Spinal Physio, we treat injured sports-people from the worlds of football, golf and tennis. We can help both in the acute phase and during rehabilitation. For athletes at all levels, picking up an injury is a nuisance – for weekend warriors, it may mean being sidelined for a week or two – but for professional athletes, it can be a career-ending catastrophe if not dealt with appropriately and effectively. For treatment for a sporting injury, or for advice and help with injury prevention, call 9144-1510 now to schedule an appointment with one of our physiotherapists.